A beaming beacon for the landscape. 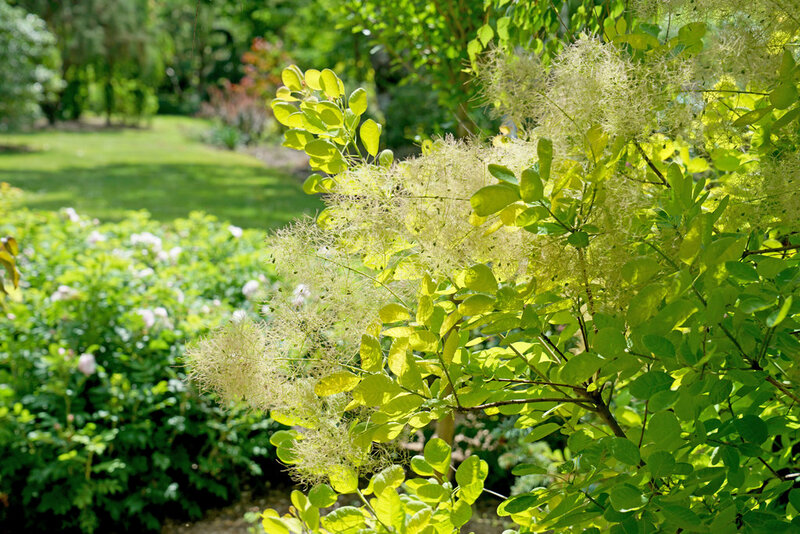 Bold, bright, and beautiful: that's Winecraft Gold™ smokebush. 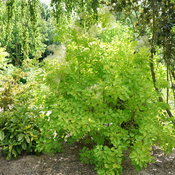 Round, waxy leaves emerge a sunny orange, soon take on a golden hue, then mature to a cheerful chartreuse for the season. 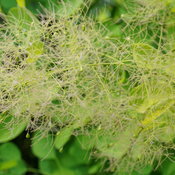 In early summer, cloud-like green flower clusters cover the plant, and these turn into the pink "smoke" plumes that earn the plant its name. 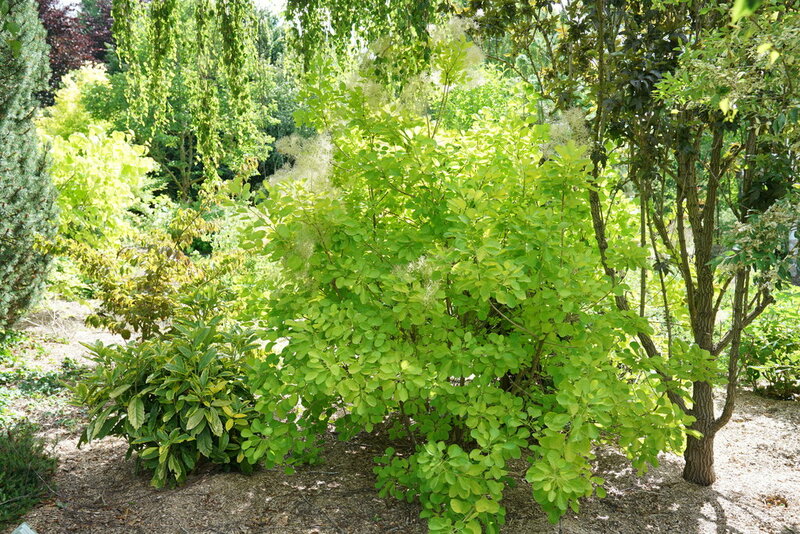 Naturally grows with a dense, oval shape that's ideal for adding a spot of bright color to partially shaded or sunny areas. 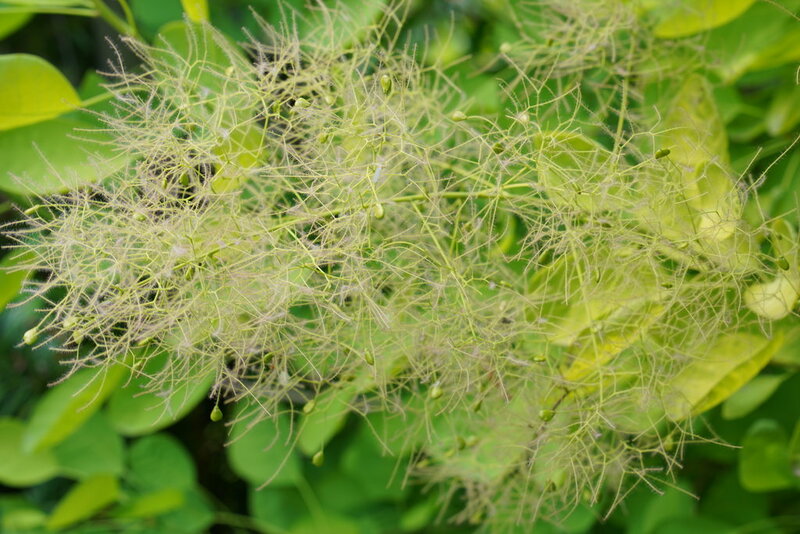 Makes a lovely specimen or addition to perennial gardens and flower borders. It's best to avoid pruning smokebush regularly, though you may selectively remove branches to attain the shape you desire. 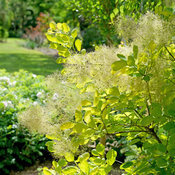 It's quite versatile and easy to grow, but do note that this golden selection is a bit less cold tolerant than other smokebush.